Because of the Peach State’s strategic geographic location, Georgia is considered the transportation superhub of the southeast. This location attracts major businesses and makes it the perfect home for companies providing owner operator trucking jobs. Georgia’s interstates play a very role in the U.S. economy and for the trucking industry as well. From the start, I-85 brought an economic growth to regions adjacent the Interstate. From 1985 to 1992 employment and per capita income increased a startling 46.3 percent compared to the nation’s 40 percent median. According to BusinessWeek magazine, corporate executives called it the “preferred mega corridor for business” in the 90s and this continues to be true in the 21st century. In fact, the economic growth was so strong businesses along the Interstate did have one complaint, they couldn’t find enough workers. Atlanta and the entire Peach State are of the most business-friendly places in the country largely due to corporate incentives, business exemptions, and state job-tax credits. It’s no wonder why so many Fortune 500 companies have been relocating their headquarters to Atlanta. Companies like UPS, Delta Air Lines, Home Depot and of course Coca-Cola call Atlanta their home state. According to recognized economic analysts, Georgia’s overall economic outlook is a very positive one. Personal income for Georgians will accelerate and for the fifth year in a row, the state’s economy will continue growing at a faster rate than the rest of the nation. Businesses coming into the area require better infrastructure bringing with them more jobs and an economic expansion. Georgia is a state that is very effective at competing in logistics and distribution. The Peach State recognizes the importance of supporting this cluster by maintaining a robust logistics infrastructure. The trucking industry benefits from this growth resulting in the highest paying owner operator jobs for independent truckers and stakeholders alike. When Status Transportation first opened its doors back in 2009, it quickly recognized the need to set shop in Atlanta in order to gain a competitive edge while hiring owner operators in the trucking business. Products imported through any of the major ports in the Peach State can reach about 80% of Americans overnight using the interstate highway system. 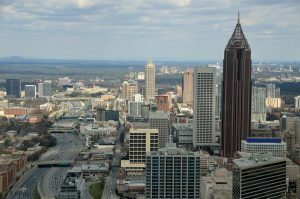 Shifts in market rates throughout the year make Atlanta an obligatory visit for owner operators running loads from different parts of the country. Whether is produce season or some other commodity there is always something to haul through Atlanta’s major highways putting owner operator jobs in GA in high demand. Three of the main US interstate highways converge in Atlanta, Georgia. 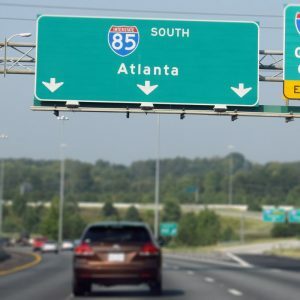 Only five cities in the US have three separate interstate highways and Atlanta is one of them. I-85 crosses the state from South Carolina on the northeast border to the south-west boundary with Alabama, crossing directly through Atlanta. I-75 merges with I-16 in Macon, Georgia crossing to Atlanta and extending to the northwest border of the state into Chattanooga, TN. I-285 encircles Atlanta while Interstate 20 passes through Atlanta and crosses the state from east to west while I-285 encircles the entire city. Atlanta continues thriving as a transportation hub making it the perfect spot for independent truckers for finding the best owner operator trucking companies. 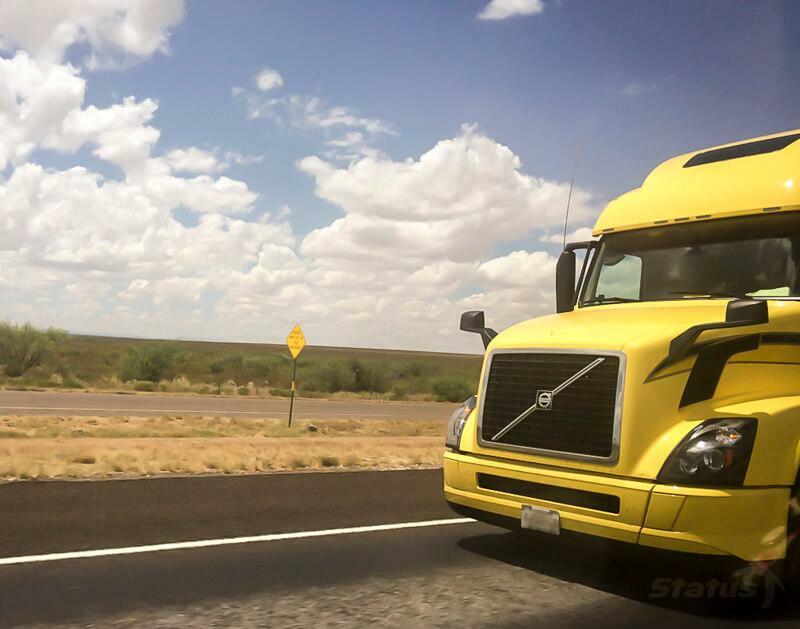 Owner operator based companies like Status Transportation will continue to grow and expand their operations providing the best quality services required by owner operators across the nation. A very popular blogger couple who happen to be owner operator truck drivers in Atlanta, GA. went on to talk about the inevitable electronic logbook mandate. Their beef was how owner operators truckers are just starting to react to the ruling only a few months before it goes into effect on December 18, 2017. Needless to say, this has been a very long and controversial topic that owner operator truck drivers are addressing both online and offline. Some truckers are recurring to social media groups on facebook, while others are going to forums to read what others think about it. Regardless of your position on the ELD mandate, we must acknowledge both sides make very compelling arguments. On one hand, we have the FMCSA stating that this mandate will reduce the number of truck-related accidents due to driver fatigue. Also, at the end of 2015, the FMCSA published a final rule document where they claim this mandate will help to save 26 lives per year. Of course, we all know one life lost is one too many and if the intention is to create a safer work environment for drivers then we need to admit this is a very strong case. On the other hand, opponents of the mandate argue electronic logging devices are expensive and represent a disadvantage for small fleets. Others worry about how this could violate their 4th amendment rights. By this line of reasoning, they refuse to adopt this system. Although the points of view are obviously more extensive and complicated than previously described, it would take more than one blog post to explain it thoroughly. Time is of the essence and a date has been set, so right now the best course of action is to prepare for it. Interestingly enough there is a different date set for the state of Texas, but that doesn’t mean it applies to just anyone. Intrastate truck drivers in Texas will have until December 19, 2019, to start using an electronic logging device. How does this affect owner operator jobs in Texas? It is important to understand that this only applies to truckers driving within the state of Texas or regional owner operator jobs limited only to that state. As you can see not all owner operator truckers can take advantage of this exemption since to make good money you need to run as an interstate trucker. At this point, there is nothing anyone can say or do to postpone or reverse the mandate. In reality, like the blogger I mentioned before said, if that is what truck driver’s wanted they would have been better off commenting on the proposed rules a few years back. 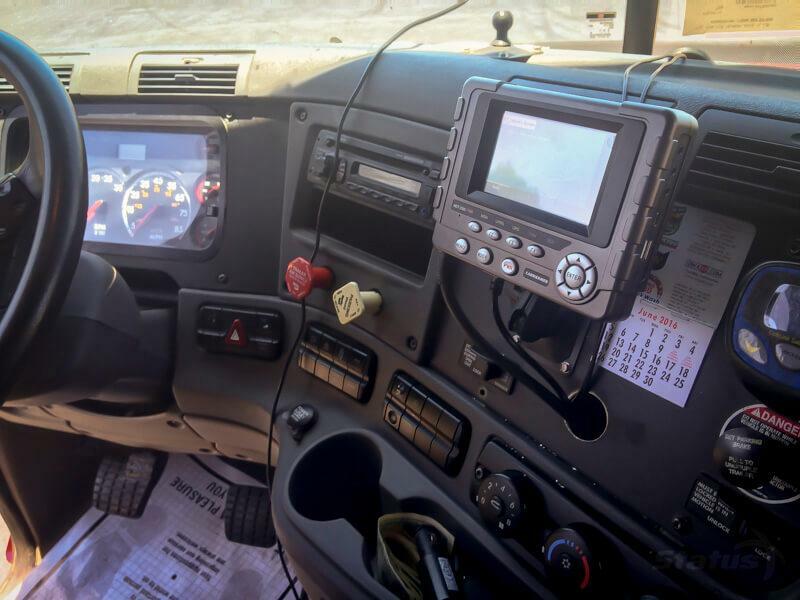 In any case, at this moment the best strategy is to be prepared and if you are not using an ELD then look for the best option and start learning ASAP. 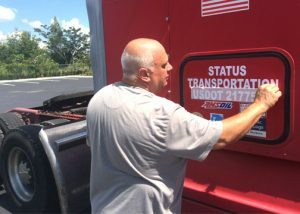 The safety team at Status Transportation is very proactive in helping owner operator truck drivers to stay compliant with DOT rules and regulations. If you would like to switch from using paper logs to an electronic logbook get in touch with your dispatcher or the safety team today. They can schedule a short 2-hour meeting at our office in Atlanta, GA or Winter Garden, FL where they can install the device on your truck. Not only that but they will also sit with you and show you how to use it. Wishful thinking or putting it off is not going to make this mandate go away. So don’t be caught off guard and take immediate action so that when the time comes you can keep running during the holiday season in December. Part of becoming a successful owner operator is staying safe and compliant with DOT regulations. A fine or violation can have a negative effect on your owner operator job or career, not only affects your record but it also has an impact on your employability. In this article, we will talk about what you can do to maintain healthy owner operator job safety practices to stay safe and avoid any violations. There’s a number of things you can do to keep a clean record. First of all, you have to know the rules so make sure to stay up to date on your truck and trailer maintenance. There’s a famous quote by Mark Twain that says: “It’s not what you don’t know that get’s you in trouble, it’s what you do know and it’s not true” and this applies to those truck maintenance issues you know about and you keep telling yourself it’s all right. I can’t stress enough how important it is to keep your rig in top condition. 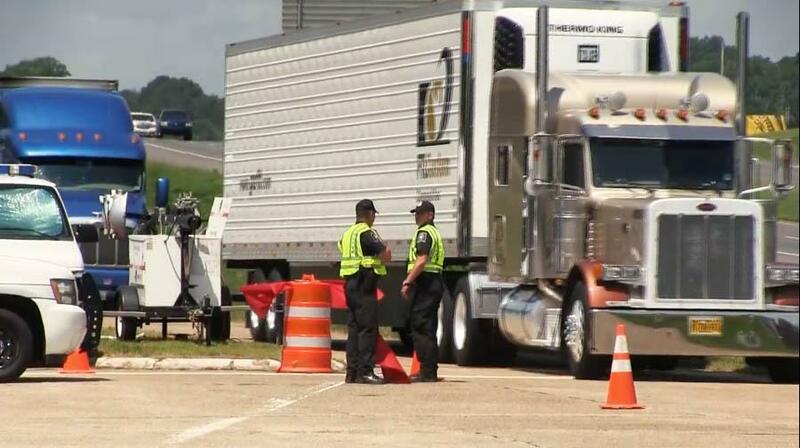 A recent report by the CVSA on the 29th annual international roadcheck says that 45.7 percent of all vehicles placed out of service were due to brake adjustment and brake system violations. Most owner operator trucking companies have safety departments that keep owner operator truck drivers informed of any safety blitz or annual inspections going on, so pay close attention to those communications. The main goal for each one of those inspections programs is to ensure everyone has their t’s crossed and i’s dotted, and they always place special importance on logbooks, hours of service, brakes, and tires. Owner operator job safety habits entail a lot more than just keeping an eye on your speed. As an owner operator truck driver, you have a responsibility towards other drivers sharing the road and you can do this by doing your pre or post trip inspections and filling out your log books properly. 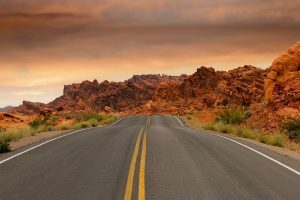 These are everyday tasks that truckers tend to neglect but those are the same ones that can come back to bite you. You have to be diligent and stay on top of your hours of service, log books, paperwork, and truck maintenance because if you get a fine or violation for some of these things is generally because you underestimated it. 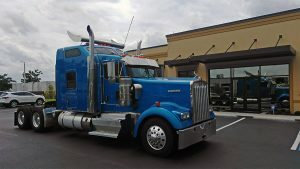 Nowadays the best owner operator trucking companies are being more careful when they lease operator trucking jobs because their overall rating can be affected depending on the owner op they hire. The CSA reports and shares all information about every inspection, they register both the good and bad stuff so you don’t want to have anything negative on your record because it could affect your chances to get a contract as an owner operator. Now if you do get a fine about something you don’t feel you were guilty of you have several options. You could find somebody local to fight that for you, or your motor carrier can also get involved if they think there is a case because whatever happens to you will also reflect back on them. So if you get a ticket that you did not deserve they are going to want to get involved because at the end your ranking it’s also their ranking. In conclusion, good owner operator job safety practices involve trying to do things right by staying compliant, following the rules and keeping up with truck preventative maintenance. Making these consistent efforts will result in great outcomes over a career. With so many motor carrier options out there advertising local owner operator jobs and catering a wide variety of services, why should you work with Status Transportation? Just searching for owner operator jobs in Florida will get you over 1.5 million results related to this topic. 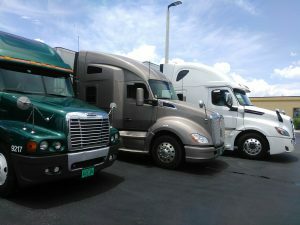 This does not mean there are that many owner operator motor carriers just in Florida but you will definitely get a good number of results to choose from. The question here is how do you know which is the best owner operator company to work for out there? When asked about their experience with Status, owner ops who have been working with the company for several years always mention they are treated with respect and they do not feel like just another account. Having said that, let’s talk about some of the aspects that make Status Transportation one of the best owner operator companies to work for. Numerous Status Transportation reviews on different social media channels reviewing Status Trucks serve as proof of the level of satisfaction owner operators have experienced from working with the company. Whenever an operator has a concern he or she can be sure it will be addressed in a timely manner and someone will follow up with any questions they may have. Status Transportation is a young but innovative company that is taking the transportation industry to a whole new level. Status first started back in 2009 as a small operation on the East Coast of the United States providing dispatching services. It didn’t take long before truckers noticed a completely different approach to trucking. 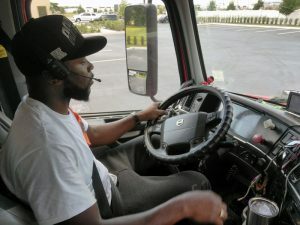 The first owner ops to come aboard the newly opened company was so different from what any other company had done in the past that drivers started referring drivers looking for owner operator jobs. Eventually, the company grew to a point where it needed to expand and moved to a larger facility in Winter Garden, FL. Today Status Trucks provides dispatching services to a vast number of owners operators and continues to grow exponentially. Our Status Transportation Forest Park GA branch provides truck maintenance, trailer repair, and a vast array of services geared toward truck drivers, and fleets. 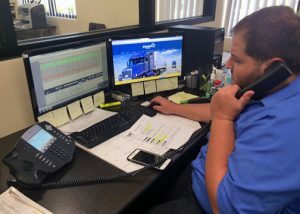 While other companies looking for owner operators focus solely on increasing their numbers, Status has set out to do something different. Owner ops are not just another account for us, instead, we concentrate on enhancing owner operator opportunities by offering our expertise in the trucking industry and giving them access to the strong relationships we have developed with our customers throughout the years. Status is forming strategic partnerships both with truckers and shippers. Shippers can trust the high-quality services rendered by the company, but at the same time, it’s important for truckers to understand it is in our best interest to negotiate the best paying loads available for them. At Status, it is not uncommon for truckers to develop a friendship with dispatchers and the rest of the status team. Everyone from the safety department, dispatch, our repair shop at Status Transportation Forest Park GA, and the accounting team are always ready to help. That type of personalized service only comes from understanding the mutual benefit of establishing a strong business relationship. As an owner operator at Status, you get a dedicated dispatcher that works to get you the best paying loads available in the market. You can talk to your dispatcher or a manager to design a custom strategy to maximize your income. Our non-forced dispatching method gives you the opportunity to review a load before accepting it or reject it in case you do not have the necessary legal hours to complete it. This dispatching method empowers owner ops and at the same time is flexible enough so they can decide when to take time off. As every freedom has its responsibilities the only thing we ask in return is not to cancel a load once it has been accepted or try to change the agreed rate once the load has been accepted. Status Transportation Payment Programs are very easy to understand, we have two percentage based main options, one is for owner operators who have their own trailer and the other is for those who are interested in renting a trailer. Owner ops can either drive within a region consisting of their home state plus ten more states or go over the road to all 48 states. Truckers are also very enthusiastic about our weekly settlement payment schedule. We make it very convenient for owner operators to have the necessary cash flow they require through direct deposits on a weekly basis. It is very important to mention that all loads delivered by Wednesday are paid on the same week, you just need to make sure to turn in your paperwork on time by scanning any documents we may need to process your payment. Owners receive a weekly easy-to-read settlement to their email describing payments and deductions, and if they have any questions they can always call our accounting department who will gladly go over the information with you. If you are an experienced owner operator looking for a great place to work you need to check Status Transporation. You will be pleased to know that a professional team will have your back every step of the way from pickup to delivery, paperwork handling and billing. You will be glad to be working with us and will ask yourself why didn’t you do it before. We invite you to check out our website, our Facebook page and our testimonial section on Youtube. If you are ready to be part of a successful team call our recruiting department today at (407) 574-7990 or you can also apply online at our website, you will be glad you took this first step on a new driving experience.